A most romantic idea – a surprise marriage proposal to the one you love, in Central Park, or any other exciting place in New York. 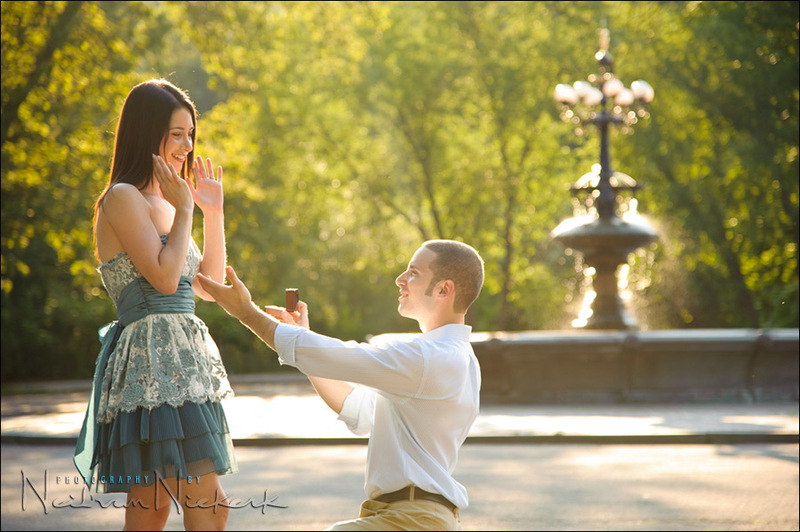 The proposal then flows into a portrait photo session in New York for more romantic images. We’ll visit a few surrounding spots with the photo session with the two of you – enjoying the city as a backdrop. A perfect day! My fee is $650 and includes the high-res files. This includes the proposal and the photo session, for a total of two hours. I’m flexible and will easily accommodate any ideas you have to incorporate into the shoot. Let’s have fun with this!